Hi, how are you? This is Azusa writing. When I noticed it, March has already come. It always seems to me that February starts before I realize it starts, and ends before I realize it ends. I even feel like it's still January. It has been a little warmer here, though. Speaking of March, we have Hina-matsuri, the girls' festival, on March 3rd in Japan. Every year families with girls celebrate the festival displaying Hina dolls to pray for the girls' health and happiness. I also used to start displaying the dolls when the Hina-matsuri get closer. 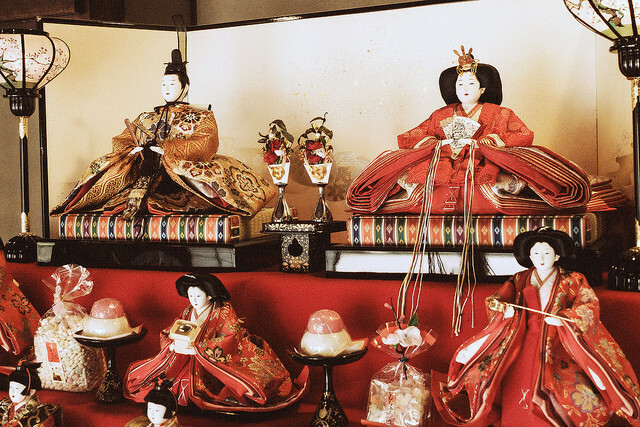 Hina dolls are beautiful in traditional Japanese kimonos such as junihitoe, a twelve-layered kimono of the Heian period, a thousand year ago. I was excited when I opened the box in which the dolls were resting and saw them again! We also have sweets for Hina-matsuri. 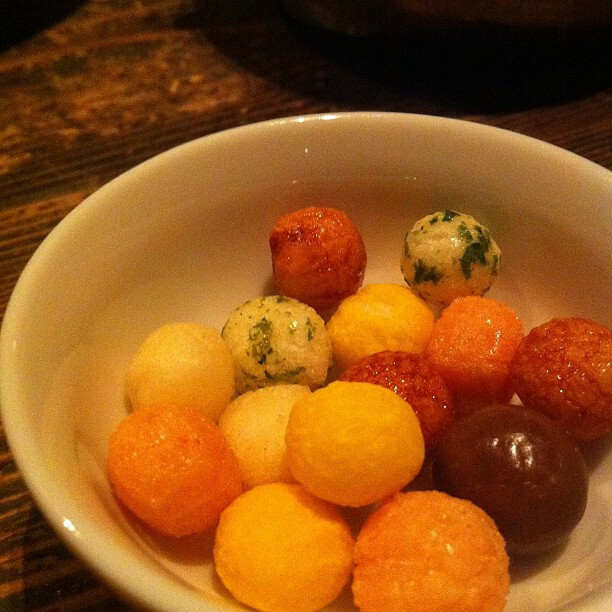 They are sweet rice crackers called Hina-arare. When I displayed the dolls, my brother was always coming and picking them without helping us to display. The colors of Hina-arare are pink, green, yellow and white, which is very cute! We have very pretty kimonos and obis with a design of ladies like Hina-dolls! By the way, I think March is the greatest season to visit Japan. It's warm and comfortable, and peach blossoms is beautiful in March. So peach blossoms are also displayed with the Hina dolls. Sakura(cherry blossoms) also begins to bloom in the middle of March, and the blooming forecast has announced! Thank you for reading. I hope you have a nice weekend!